A classic deserves a classic, a cocktail that could double as B Movie blood. It’s Boo-tiful and frighteningly full of flavor. 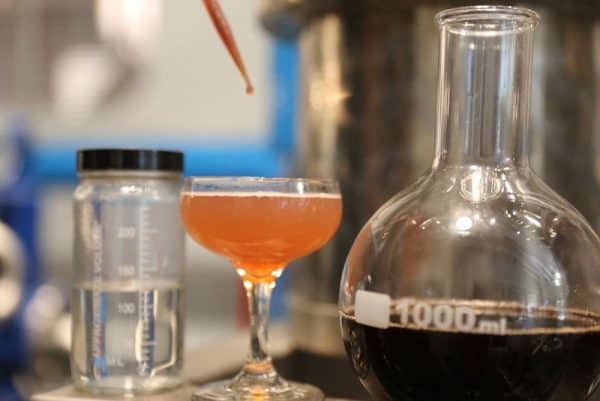 Build your Bar Knowledge: Simple syrup goes by a simple ratio: 1 part sugar to 1 part water. Generally warm to hot water is used to speed up the process. Simple can be stored in a tight lidded container in your refrigerator for a month. Hack: Fresh is best, sometimes the preservatives in commercial lime juices throws off the taste of the cocktail. The average lime produces 1 oz of fresh juice, so a little prep can go a long way. Build Your Bar Knowledge: Keep your coupes and martini glasses frosted, store them in your fridge or freezer for at least an hour before serving. Because these cocktails don’t have ice, this will help them keep their cool a little longer. If there’s no room in the freezer, add ice and water to the glass before you make your drink and let them cool everything down. Discard the ice and water before pouring in the drink and enjoy.